Let’s do a video chat (or meet for a beer, if you’re local to Boulder) and get to know each other! It’s SO important to make sure we get along before your wedding, and I want you to feel completely confident in your decision when you book me! I want to help my couples in whatever way I can, from recommending vendors and planning your family portrait list to figuring out your timeline. I am always just a text or email away! On your wedding day, I’ll be that friend you’ve stayed in touch with online rather than some random vendor you hired, so that you can relax and trust that I’ve got you. What’s the difference between the wedding and elopement collections? Wedding collections include engagement sessions and coverage by a second photographer, as well as the time I’ll spend photographing your wedding and help you leading up to the big day. Elopement collections include my photography and planning time. 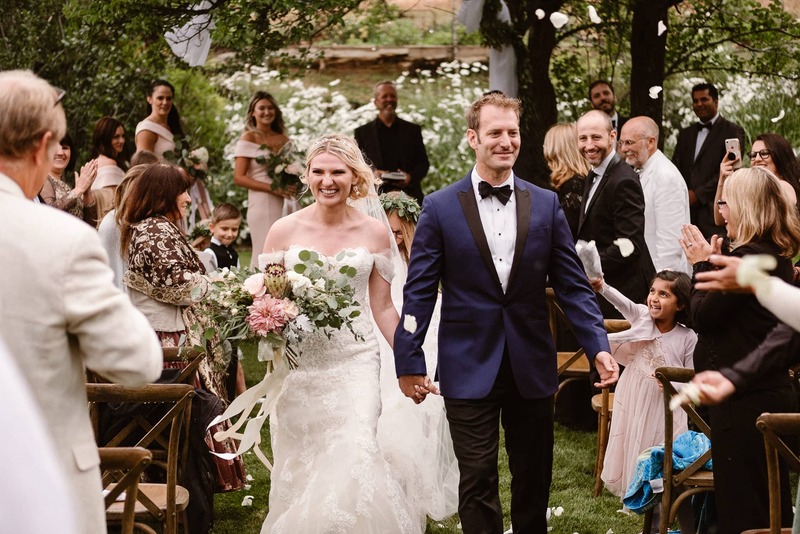 Your guest count does not matter – you can absolutely book a wedding collection for your elopement or vice versa if that better fits what you’re looking for. Let’s go on a hike, watch sunrise from a mountain top, snowshoe to a frozen alpine lake, or drink your favorite beer while watching the sunset – whatever adventure you would be going on even if I wasn’t there to capture it! No two weddings, elopements, or adventure sessions are the same. If you’re looking for a different length of coverage, or you’re planning something unique I might not even have thought of, please get in touch so I can put together a custom collection for you! Planning to elope out of the country? Check out my destination elopement page to see how I can help you plan and capture the perfect adventure! Let’s be real? There’s very little point in investing in a wedding photographer if your photos will spend the next sixty years on a thumb drive, or on a social platform you’ll never look at again after the likes stop coming in. I want you to have something tangible after your wedding, which is why I offer heirloom quality albums. My heirloom wedding albums are printed in the United States with archival ink on fine art paper. Sizes start at 8x8 (perfect for parent/gift albums!) and go up to 12x12. Cover options include high quality book cloth in 70+ different colors, and full-grain, rustic, and premium leathers. Custom engraved wood album display boxes in your choice of wood finish are available as an add-on. P.S. That is not a miniature size album in the slider but a 10x10 – my Luna is a very large cat! Few things make me happier than when my couples send me instastories of their wedding photos printed on their living room walls! Your gallery will come with a private print shop where you can order prints, frames, canvases, and even save the dates and thank you cards. Everything you order comes directly from a print shop that I love working with, so that you get the highest quality products. But no pressure to buy – you’re welcome to print your photos anywhere! I CANNOT PRAISE NINA AND HER WORK MORE. Yes its difficult to just bite that bullet of paying for a photographer that is “more expensive” than another. But Nina’s work is leagues above many other photographers, so we decided that we were paying for her travel package so she would be our photographer in Norway. Nina helped us with planning and locations for our wedding in Norway. I can say with certainty that she was leading the blind and I could not have picked a better person to show the way. Our wedding was beautifully captured thanks to Nina. I could not be happier with the pictures, and I am so happy that we trusted her to capture that day, because she did it so well. Thank you, Nina. You are incredible. We absolutely LOVED working with Nina! I can’t recommend her enough! We had so much fun taking engagement pictures with Nina and our pup. The photos came out beautifully and our family loved them. When we got back together with Nina for our wedding day, we felt like we were spending the day with an old friend. It was so great to see her and so much fun to work with her throughout our big day. We had SO much fun with Nina that we ventured up to the Ice Castles to take even more pictures after our wedding! It was magical! 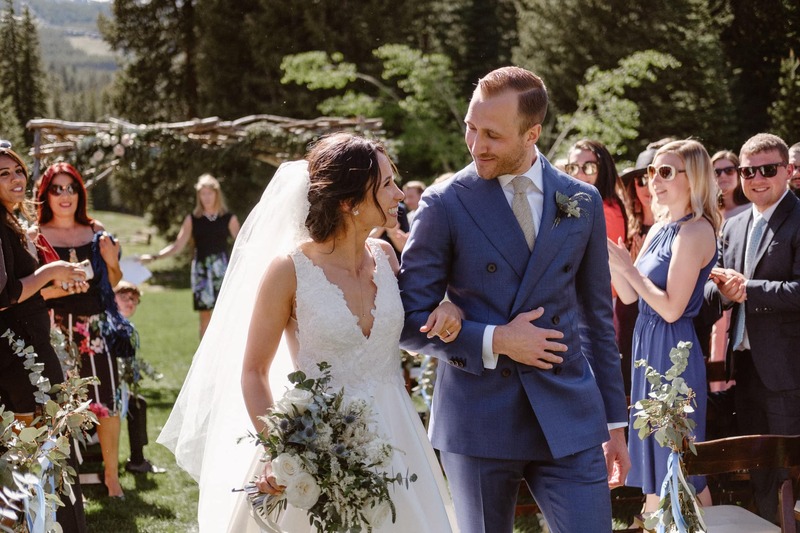 Aside from loving all of the pictures we’ve received from Nina and how much fun we had working with her – she’s great at sticking to her deadlines and getting pictures back to you on time, if not early. Go adventuring with one of the sweetest people in the whole world and get some amazing pictures out it! Nina was an absolute joy to work with! When I was selecting a photographer for my wedding at the beginning of planning, Nina called me directly so that we could actually speak and have a conversation about what I was envisioning. As the date approached, she was great at thinking of all the details I didn’t- photos at sunset, timeline for the day, family photos, listing out vendors- her experience really showed. The day of the wedding, Nina was fantastic! She arrived early, worked well with my videographer, had a plan for all the shots and really went with the flow of the day while still getting all the shots she knew I would want. A lot of her work shows beautiful elopements, but I will say if you are thinking about her for a larger wedding, you can’t go wrong! JUST SO AMAZING!!!! 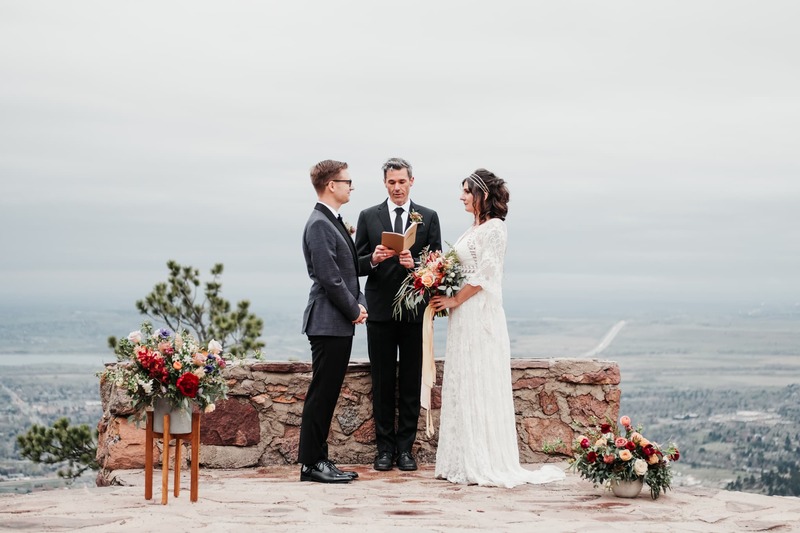 !<3 My husband and I had very different ideas of our ideal wedding, I wanted a mountain elopement and he wanted a big wedding, but we both agreed we wanted to get one thing right: Our Photographer. We wanted our special day to be captured in a very genuine way, no posing, we just wanted to be in the moment with each other and let our photos capture our emotions and beautiful surroundings. That is exactly what Nina was able to do! Nina is not only the absolute BEST at what she does, she LOVES doing what she does. Our entire experience with Nina was nothing short of amazing… from our engagement session at RMNP, to our wedding day in Breckenridge, to an adventure session at Trail Ridge road, Nina was so easy to work with, flexible, patient and just so sweet. She is also very organized and a great planner, she always has a plan B, C and D in case something goes wrong. She worked so well with our vendors and our family the day of the wedding and leading up to it. To top it all off, our final pictures are more than we could have ever dreamed of, people frequently suggest that our wedding pictures need to be in a wedding magazine…. best compliment ever! Nina photographed our wedding at the Lyons Farmette. She did an amazing job at capturing the entire day and giving us the most beautiful photos. She was extremely organized and captured our group and family photos quickly and efficiently, giving us plenty of time to enjoy cocktail hour with our guests and leaving us with beautiful family portraits. She was always available to answer any questions we had, and even helped us to create our timetable for the day, which I needed a lot of help with! She is very knowledgeable and helpful through the entire process along with taking the most stunning photos. She made our wedding day stress free and made sure to capture everything that was important to us. I cant even begin to express how beautiful our photos turned out, and how easy she made the entire experience for us. I couldn’t recommend Nina enough! Read 40+ more 5-star reviews on my Google Listing! Will you photograph our LGBTQ+ wedding? Can you help us find a beautiful place to elope? Of course! 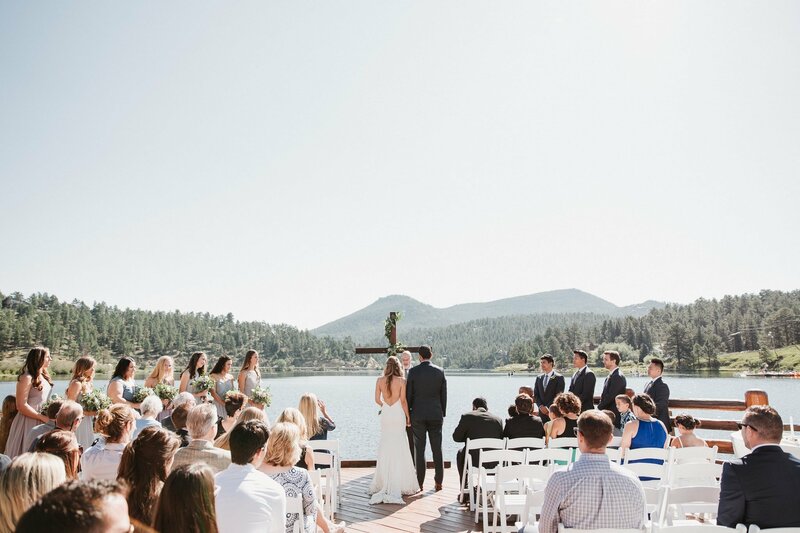 Many of my couples are coming to Colorado from out of state, or recently moved here, and want my help in picking the perfect location for their mountain elopement. I’ve spent the past nine years road-tripping Colorado and exploring every nook and cranny of our beautiful state, so once you’re booked I will send you my elopement location guide (it has 50+ options to choose from! ), and help you find the perfect spot! You will receive a sneak peek photo to your email within 48 hours after your wedding or session, and your full gallery will be ready within four weeks! It depends on how many hours I am there for, the schedule of events, whether we have a second photographer, and other variables (an hour of toasts is usually fewer photos than an hour of portraits). You will generally receive between 50-75 edited photos per hour of coverage, or 75-100 per hour when you have two photographers. Will we get high-resolution files? Yes, this isn’t the ’90s 😉 You will receive the edited photos delivered digitally via your own personalized gallery that you can share with friends and family, and you can download the photos in high-resolution. You will also get a print and digital use release, which means that you can share the photos online or print as many copies as you’d like. Yes, every photo is edited in a style consistent with what you see on my website. I don’t retouch body shapes, hair, skin, or clothing, because I want you to look like yourselves in your photos! Do you have insurance and permits? Yes, I maintain full business liability insurance, and can provide a copy of my insurance certificate to your venue upon their request. I also have annual photography permits for Boulder OSMP and Rocky Mountain National Park, and I will gladly research permits for any other location we might want to shoot in. When you are ready to book, a $1,000 retainer and a signed contract will hold your date. The remaining balance is due three weeks before your wedding date. I’m also happy to split the remaining balance into up to four payments for you. For adventure sessions, engagements, proposals, and other portrait sessions, the session fee is paid in full in advance. This all sounds great, now how do we book you? Get in touch via my contact form! If I’m available for your date, we’ll set up a time for us to video chat so we can talk about your big day and make sure we’re right for each other. Then you’ll sign a contract, pay the retainer, and we’re all set!